In Lafayette/Broussard there is a sushi restaurant called Samurai sushi. They have a cucumber salad that is shredded cucumber, smelt roe and some kind clear dressing. 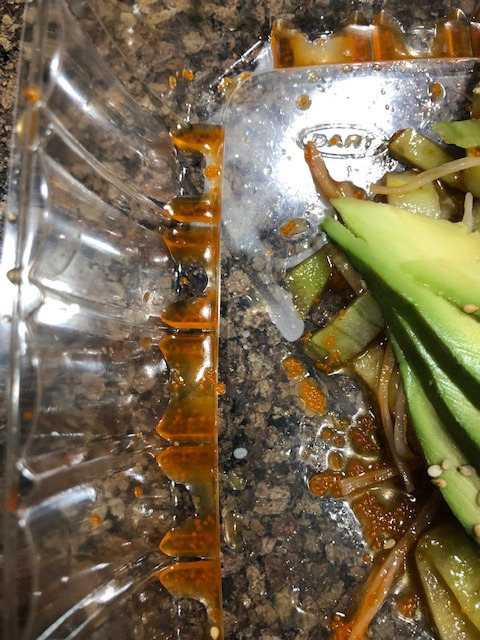 I am curious if anyone knows what this dressing is. Sometimes it is spicier than the other times so I assume it is some kind of wasabi dressing. I would like to try to recreate this at home and am looking for ideas on the dressing. Thanks. 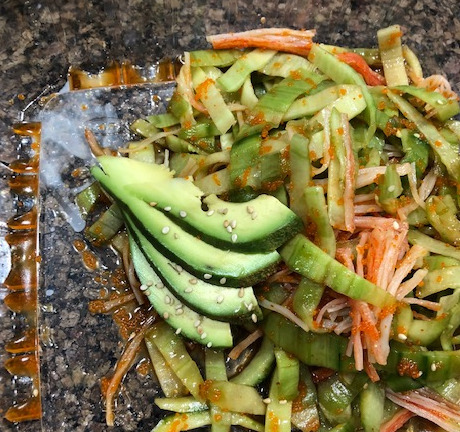 From recipes online, it looks like the base is sesame oil, rice vinegar, salt and sugar. Heat it up with dried red pepper or pepper flakes. I don't see any pepper flakes in the salad that is why I was thinking wasabi. That could turn the color a little reddish maybe, but with oil and vinegar it might not be noticeable. May that is it. It does have a reddish orange color but I though that was from the roe. I will pick one up tonight and take pics. Thanks. I’ve been friends with Tam (Samurai owner) for 25 yrs. Before Laffy had sushi, I’d drive to BR several times a month where he was a sushi chef. Tam was the first person to serve sushi in Laffy at the old Chung King ; currently Blue Basil. I’ll ask him about the cucumber salad dressing recipe. Thanks. I found out it is just ponzu sauce. However, I think they mix some wasabi in there because it is not always consistent in spice. That salad is so good. We order pickup from there at least twice a week. His sashimi roll is on point. 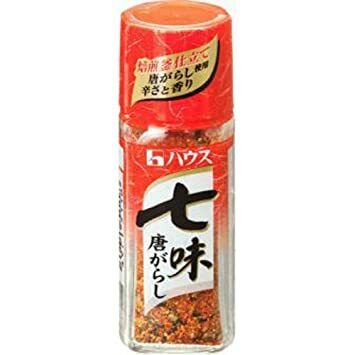 Are you saying this seasoning is mixed with the ponzu in the salad I am talking about, or are you just saying they are good together in general? I'm not saying it's what they use but when sushi places are spicing up ponzu sauce, they generally use togarashi. What about masago roe. Where can that be found in town? My favorite salad at a sushi restaurant is the seaweed salad. I was getting it regularly at Costco and they sold a container that could easily make about 4 servings like you'd get at a restaurant for under $5. Unfortunately, they've not carried it for a few months now and that is one of the quirks I don't particularly like about Costco. There have been several other items that they quit carrying over the years. My wife loves the "Cousins Creole Salad Dressing" and they sold it in 2 packs for just a shade more than supermarkets sold a single jar, but they quit carrying that too. Here are a couple of pics showing the dressing. I don't think the roe gives it that reddish color, but ponzu is brown. Do you think it is that togarashi or whatever Jones mentioned mixed with Ponzu? Thanks.